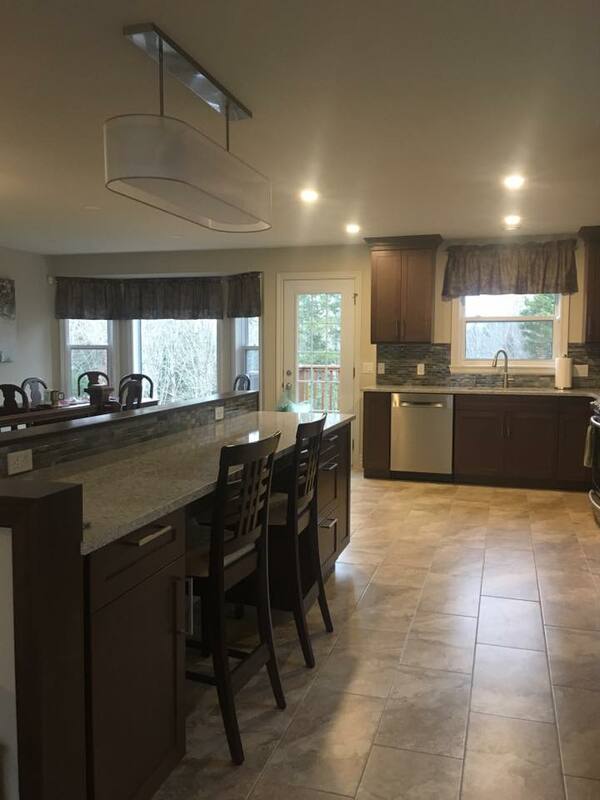 To create a more open concept kitchen and main floor for these homeowners we demoed two walls on two sides of the existing stairway. 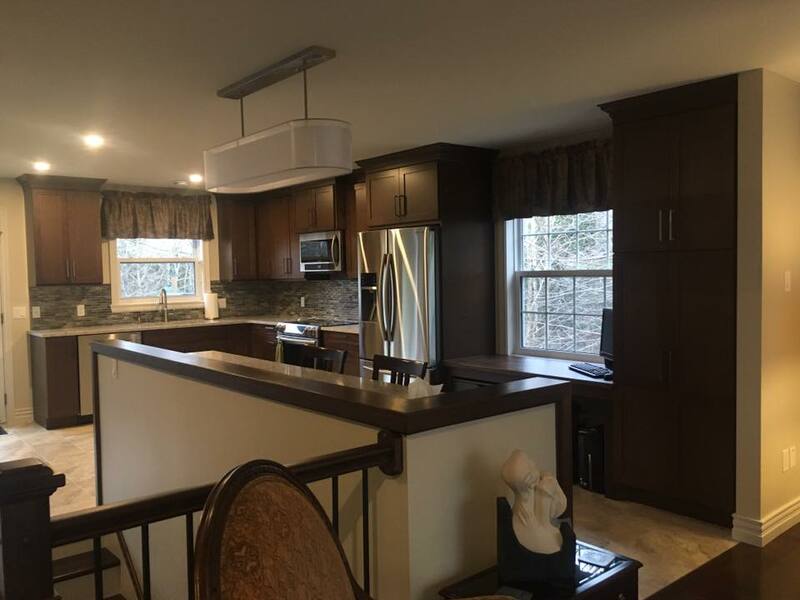 We created a 42″ partial wall on one side and new stair rails along the other side of the staircase, expanding the kitchen into the existing dining room. 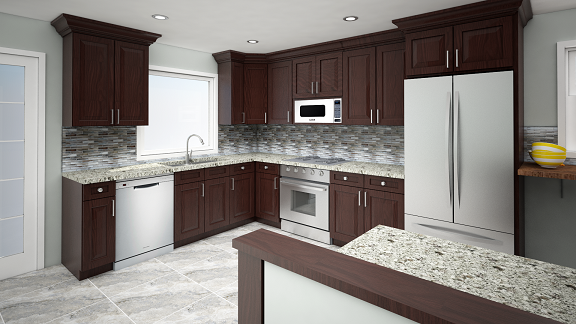 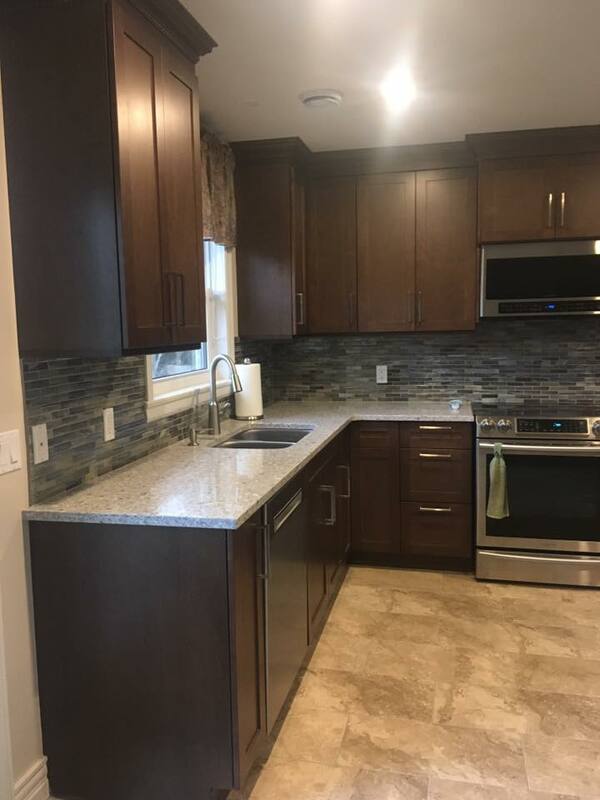 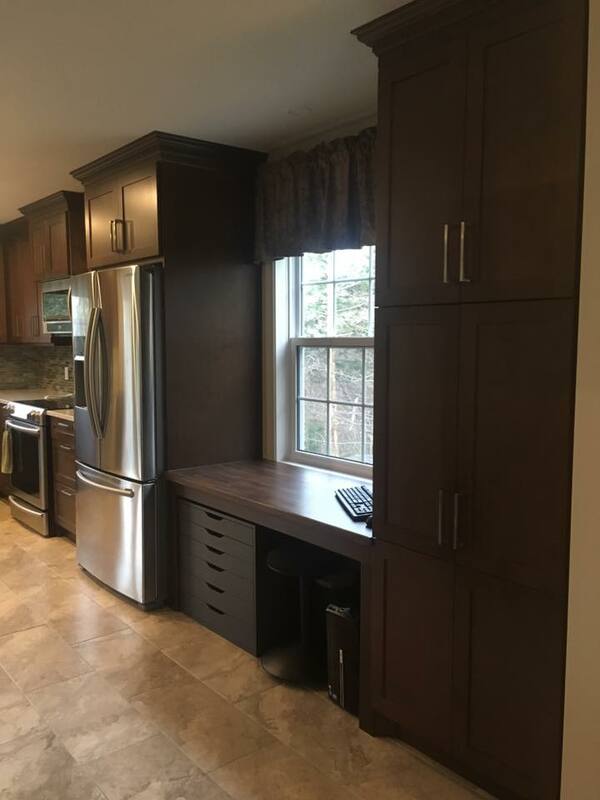 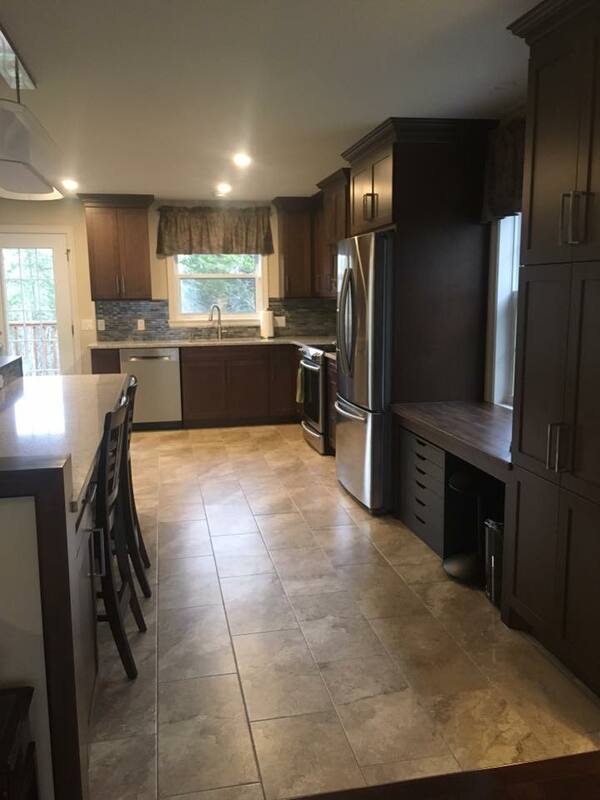 We designed a kitchen area with new cabinetry and new cabinetry hardware and relocated the fridge, however, all other appliances and plumbing fixtures were able to stay in the existing locations. 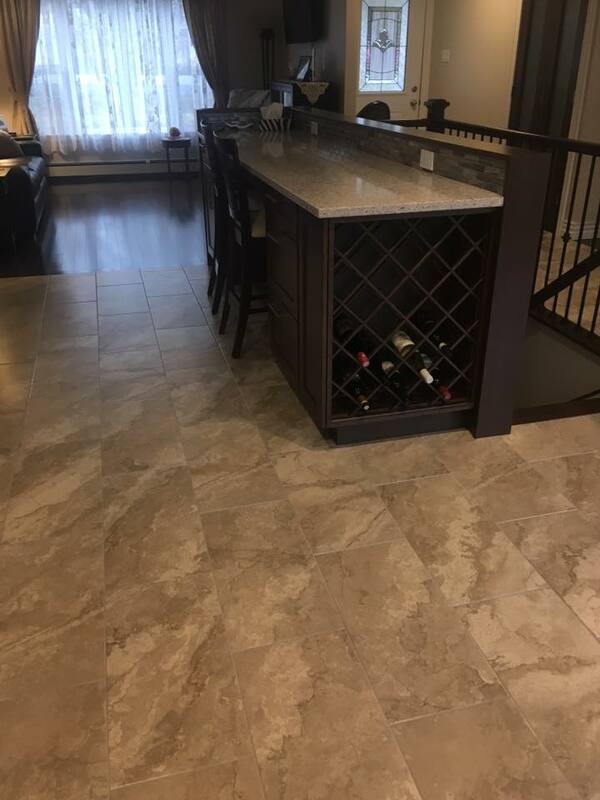 We removed the existing flooring throughout main floor and new hardwood and tile flooring to be supplied and installed as per design. 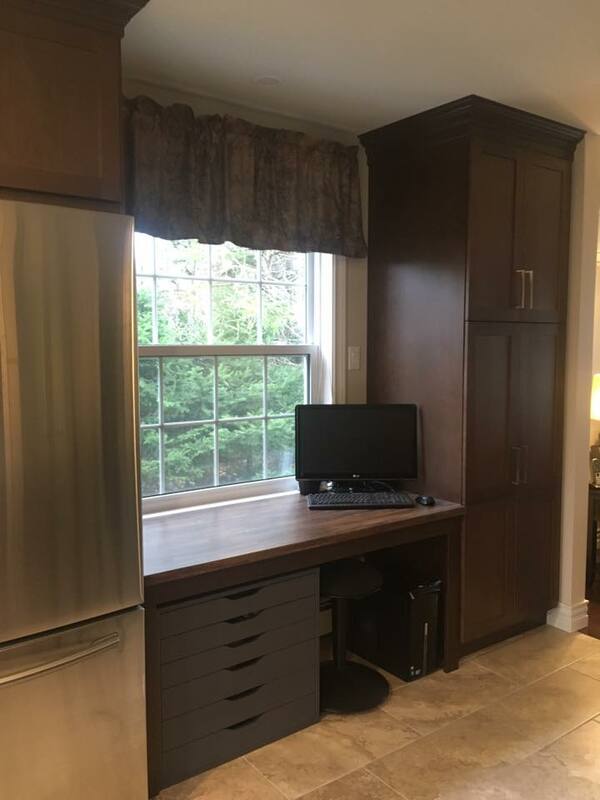 The existing dining room window was removed and replaced with a smaller window to accommodate the new sit-in bar height ledge and a counter with base cabinets were in­stalled along the partial wall against stairwell next to the new floor to ceiling pantry. 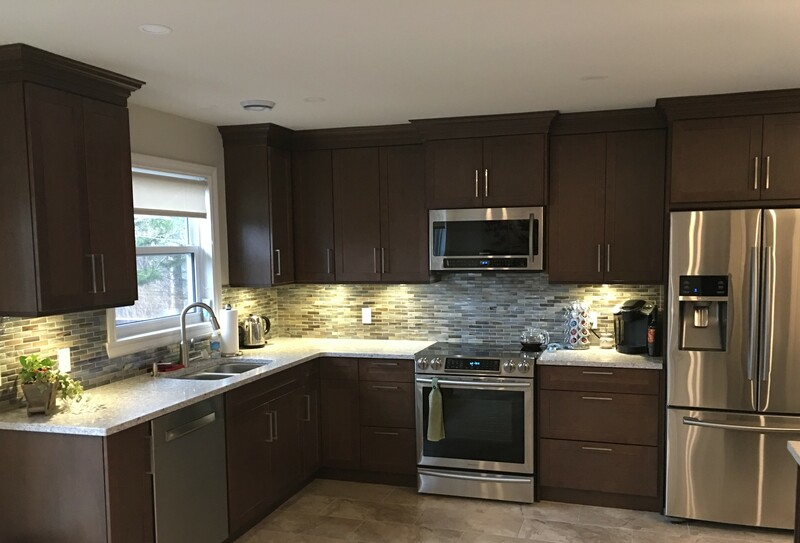 The kitchen design also included a new light­ing plan with recessed pot lights to reflect the new layout. 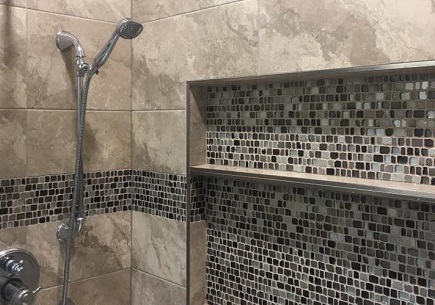 The renovation project continued to the bathrooms of this home. 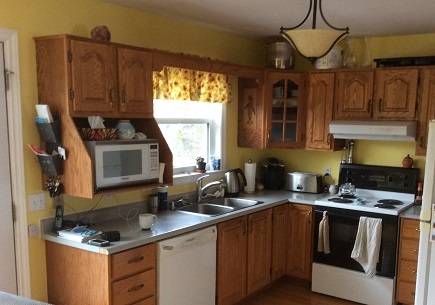 Click to view more of this home renovation project!